George Carlin was well known for his biting humor and as in the words above, often injected social awareness. While I can’t say his words would have changed anything, he did show that society was finally coming to grips with the fact that they owed Veterans something, especially those suffering from PTSD and experiencing problems readjusting back into a peaceful civilian life. Unlike when those of my generation and before returned from our wars, programs and treatments to help those Veterans are becoming more and more available. Knowing that when dealing with something like PTSD there is no such thing as a ‘one size fits all,’ we are seeing several different approaches, all showing results to help the Veteran overcome their wartime trauma. Treatments include medical therapy, mentorship, group therapy and many others, such as Hunting for Heroes where Veterans are taken out for a weekend of hunting and fishing and camaraderie. We also see various programs where the Veteran is paired with a dog, as we have locally with Battle Buddies in nearby Battle Ground, Washington. 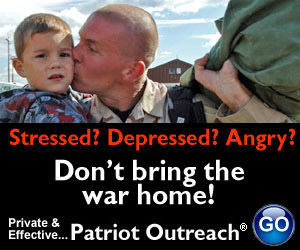 Another effective program is Patriot Outreach and their successful Coping Strategies series, available free to Veterans. In California we see real life Horse Whisperer Monty Roberts offering his knowledge and ability with horses to help Veterans in need with his Join-Up® with Veterans. As with Hunting for Heroes and Battle Buddies, Monty Roberts ‘Horse Sense for Soldiers’ is also showing amazing success in helping those Veterans in need down in California. It was very pleasing to recently receive word from my friend and fellow Veteran, Rees Lloyd that he and Patriot Outreach founder Col. Antonio Monaco have been invited to participate in the Monty Roberts Training with the intent of coordinating the Project in Oregon and in Washington, hopefully in the near future. 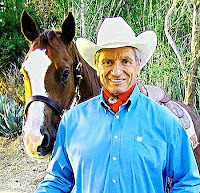 “I hope to be able to set up a special Monty Roberts ‘Horse Sense For Vets’ special workshop for Oregon and Washington Vets with stress in future next year” Rees said and invited me become involved too. There is no intent to take away from other programs, like Battle Buddies or Hunting for Heroes, but to add another program to help more of our Veterans as they need. Networking through our local Community Military Appreciation Committee and hopefully with the Clark County Veterans Court, where those struggling Veterans who have had minor scrapes with the law enter a mentoring relationship with another Veteran, more Veterans in need can be saved and reintegrated back into civilian life with less problems. Divorces amongst our Veteran population is much too high and even worse is the suicide rate of our Veterans who have sacrificed so much on our behalf. We owe these young men & women all of the help we can manage. Adding Equine Therapy gives all indication of being yet another success story for our Veterans. George Carlin touched on the lack of treatment due largely to misunderstanding the nature of PTSD. Fortunately for today’s returning Veterans, both understanding and effective treatments continue to come forth. I am sure many are like me in looking forward to learning more about this program.